An initiative is a project or new idea that promotes tourism´s role in the advancement of the SDGs. This encompasses a wide variety of projects. Users are requested to include as much information as possible about the initiative. As well as include information if and on how people can participate or engage as partners. “Colombia mas Competitiva” (C+C) is a program of Swisscontact, a swiss development foundation, that is financed by the state secretariat of economic affairs (SECO) of Switzerland. 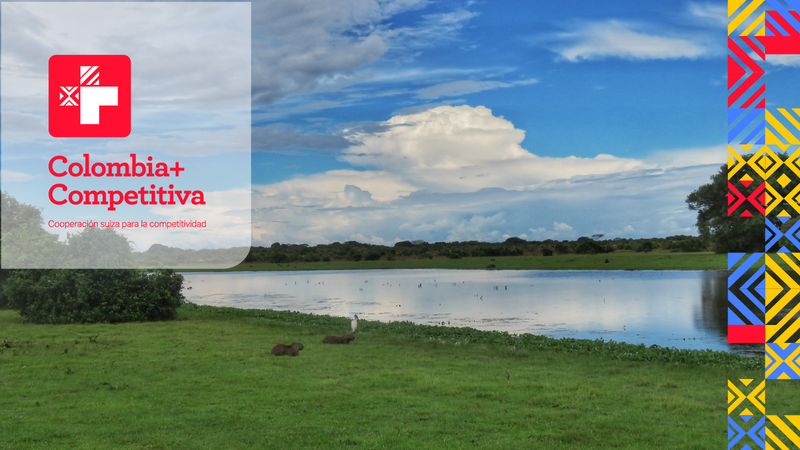 Among others the program has so far two tourism projects to improve and enhance tourism in two post conflict areas (Casanare and Putumayo). The larger aim is to improve the competitiveness of the country, diversify its economy and to create a favorable environment for business activities in the related field. Among the interventions carried out are: creating OGDs, providing expert knowledge and facilitating the design of touristic products. In general, the pilot projects are directed to act as role models for other destinations as a way out of poverty and to create stable change in former highly complicated areas. Of course, in line with the latest consensus about sustainability in all three dimensions and the SDGs. Several of the SDGs are tackled by the projects such as °1 “No poverty”, °5 “Gender equality”, °8 “decent work & economic growth” and °10 “reduced inequalities”. This by the principal focus of the projects, which is to create jobs and increase economic income with a strong emphasis in gender, social and minority inclusion, that address the mentioned goals. Also, it targets the goals °6 “clean water & sanitation” as well as °9 “industry, innovation & infrastructure” by enabling businesses to apply for local sustainability norms and relevant capacitation related to the mentioned. So far, the two projects are on track with several targets and indicators already achieved. Still there are some key steps to take and it is too early, given to the timeline of the projects (2017-2019), to draft a closing conclusion. Nevertheless, there are already negotiations going on for two more projects, which will start in early 2019.